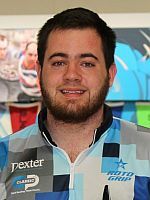 After a 43rd-place finish in the FloBowling PBA Fall Swing’s Wolf Open, England’s Richie Teece averaged 235 for six games to bounce back and take the Bear Open first round lead Wednesday in the second of three events that make up the Fall Swing at The Lanes at Coffee Creek in Owasso, Okla.
Teece (featured photo) posted a 1,410 six-game pinfall total on PBA’s 39-foot Bear lane condition pattern with games of 217, 267, 236, 255, 244 and 191. Teece (right) won his first Go Bowling! 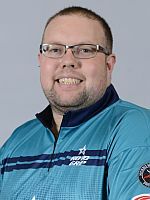 PBA Tour title in the 2017 World Series of Bowling Shark Championship but has struggled somewhat this year with best finishes of 10th in the Storm Striking Against Breast Cancer Mixed Doubles and 12th in the Xtra Frame Kenn-Feld Classic. Teece holds a 16-pin lead over fellow Englander Stuart Williams (left) who finished the round in second with a 1,394 pinfall. Anthony Simonsen (right), who won the Wolf Open for his second title of the season and fifth of his career, struggled in the first round of the Bear Open finishing tied for 36th with a 1,205 pinfall. 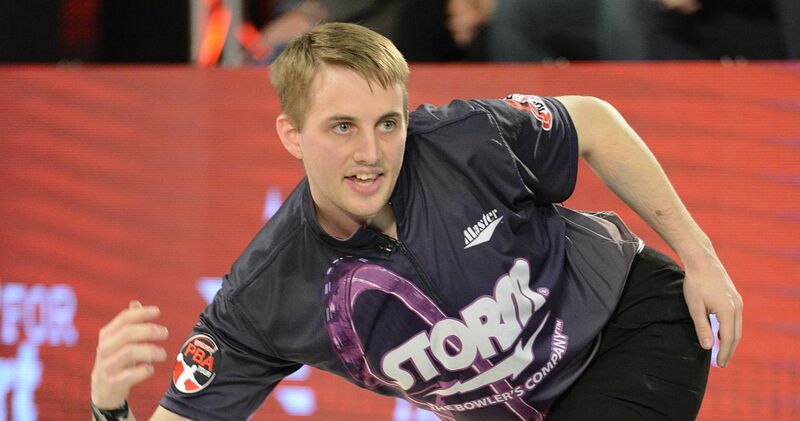 Fresh off his third-place finish in the Wolf Open Tuesday, Kris Prather (left) of Plainfield, Ill., holds the lead in Tulsa Open qualifying after 18 games (12 games in the Wolf Open and the first six in the Bear Open) with a 4,096 pinfall (227.5 average). 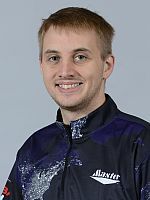 He bowled games of 238, 279, 246, 223, 177 and 170 in Bear Open first round. The players also are competing to make the cut to the top 18 for the match play rounds of the Tulsa Open which begin on Friday. 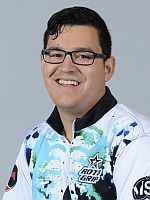 The top 18 scorers after 24-game qualifying totals from the Wolf and Bear events will advance to match play which consists of two six-game round robin match play rounds on Friday and the final six-game round on Saturday morning at 9 a.m. After match play the top five players advance to the Tulsa Open stepladder finals Saturday at 12:30 p.m.
Top 18 scorers after 24-game qualifying totals from the Wolf and Bear events will advance to match play.